Equal pay is a fine idea, the devil is always in the details and I haven't read that Texas law (why would I? ), so I don't have an opinion on it. RE: "I haven't read that Texas law (why would I?)" - because it was in the news? I'm not as concerned about the state, as I am that it continues to produce Presidential candidates. Now we are back full circle to WHAT'S WRONG WITH PEOPLE (who vote)? Hahaha. Not everyone. Zionists believe in U-A. 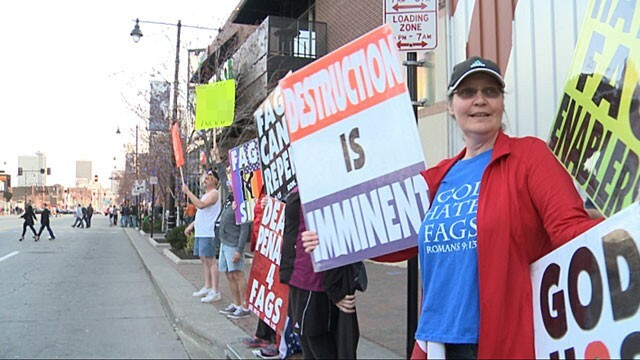 ABC News' Nick Watt spent a weekend with the Westboro Baptist Church in Kansas.